Are you applying to University this year? If so, the next chapter of your guiding life is about to begin. “I started studying International Politics and Strategic Studies at Aberystwyth University last September and absolutely love being here. I have always known that I wanted to carry on guiding when I moved away from home and I am so glad that I did! I got in contact with the District Commissioner for Aberystwyth before I left home so that I knew I would have a unit to join when I arrived, and knowing that I would have some consistency through such a change made moving away from home and settling in a lot easier. My Brownie unit in Aber is run by a team of 5 students who are all studying different things and are in different years so I probably wouldn’t have met them without Brownies but I’m so glad I have as they’re all lovely! We try and split up the work involved in running the unit so it never feels like you have loads to do and it’s really flexible so that when someone has an assignment deadline coming up we help each other out. Guiding is a great way to escape the Uni bubble (which is incredibly easy to get caught up in!) and keep in touch with the outside world. 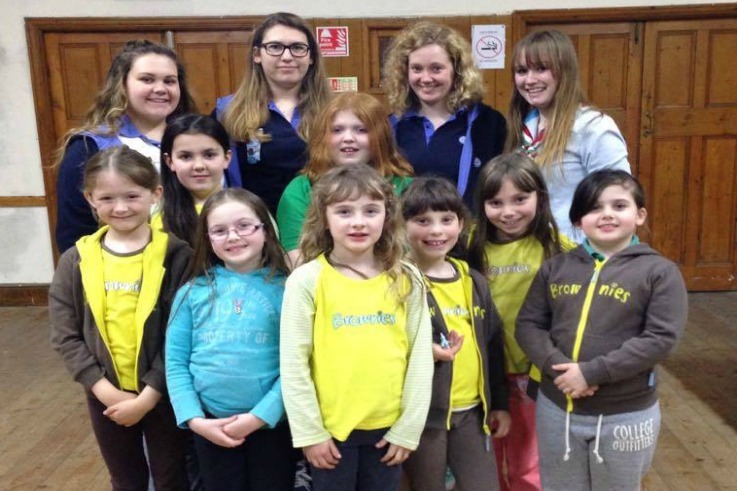 As well as my Brownie unit, I am involved with my University’s SSAGO (Student Scout and Guide Organisation). We have weekly events on a Sunday, which I don’t often go to as I have a job, but when I have been we’ve done backwoods cooking, Frisbee golf and “Aberopoly”. We also do a pub quiz once a week and I love going along and being able to switch off from Uni work for a few hours. Because we go to the same place each week, we’ve got a really good relationship with the bar staff which gives a real community feel and helps everyone feel as though they belong there! One of the best things about SSAGO is that it’s a national organisation and there are four national camps each year; three rallies and an annual ball. We went to a rally in November and although it was the muddiest and coldest camp I have ever been on (it snowed and then froze to our tents! ), it was an absolutely brilliant weekend! Because the SSAGO organisation is only for adult members, the camps are a lot more relaxed than those I’ve been on before. To find out where your nearest unit will be when you get to University, put your membership number and new address details into Join Us.